Swedish grand strategy publisher Paradox Interactive is developing a new IP with Romero Games. The Ireland-based studio, headed up by games industry power-couple Brenda and John Romero, will be taking their first steps into strategy games through this collaboration - though, with the likes of Doom and Jagged Alliance on their resumes, expectations are high. “We are thrilled to work with industry legends, Brenda and John Romero, whose games we’ve grown up playing ourselves and long admired,” said Paradox CEO Ebba Ljungerud. We'll be speaking to Romero Games at EGX Rezzed in London this week, so keep an eye out for further developments on this strategic collaboration. 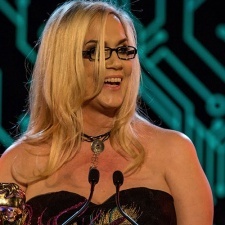 Brenda Romero spoke to us during International Women's Day earlier this month, urging budding games developers to forget about waiting for college and start coding now.